lumUI is a UI Compilation created having in mind utility within an attractive look focused on information. The main element of the UI is my oUF layout, oUF_lumen. This UI is full featured yet keeping it simple and easy to install without needing to configure lots of addons. 1. Backup your Fonts folder (if you have it), Interface and WTF folder. 2. Unzip the archive into the World of Warcraft folder. Not the Addons folder, the World of Warcraft Folder. This is because inside the archive you will find a Fonts folder and an Interface folder. 3. That's it, there is no WTF because it's not needed by any addon needing configuration (at least important ones). 4. Refer to the individual addons if you need help configuring them. Most of the addons in this pack are configured through Lua editing so they might not be fitted for some users. 5. This UI works out of the package. You might only need to move some elements of the frames around. Go to oUF_lumen config file (cfg.lua) to see the available options. Keeping addons to a minimum from now on. You can supplement the UI with other addons of your choice. * There is a price to pay for a UI with a low need of config and simplicity... most of the stuff is edited in the lua files. Especially all addons that begin with lum (my own) are almost all edited through lua. Open the lua files in the beginning of the files there are lots of configs to tweak stuff. 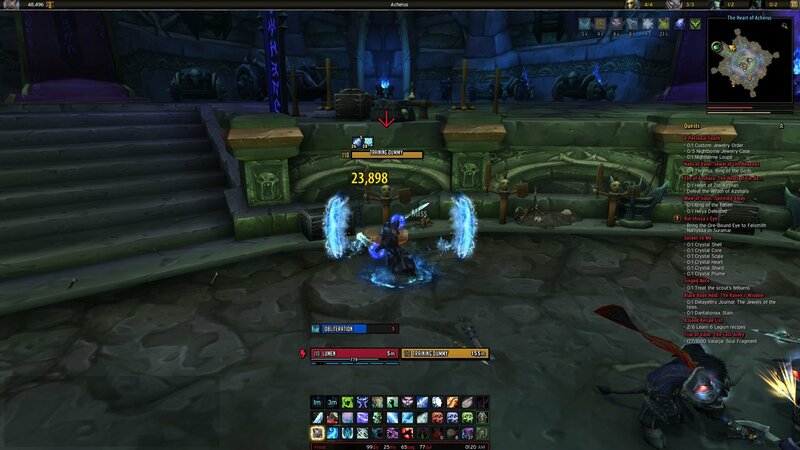 Embed base addons (actionbars and buttons [roth]). Hopefully everything will be package nicely..
First fixes for BFA pre-patch. I kinda screwed up and uploaded the wrong thing! Fixing that! :D.
Additional Stats in the stats bar right tooltip. First release for Warlords of Draenor. Updated most of the addons (included the modded ones (Bagnon for example)). Removed unnecessary addons (Like Cooldown numbers (built in now)). First release for Mists of Pandaria. Updated several addons for MoP (almost all Lum addons were updated). Temporarily removed lumNoLuv due to need of rewrite. Removed lumBags due to cargBags being deprecated. Added Bagnon (slightly modded) as the bags addon. Added Currency Tracker to track Currencies (Honor, Justice Points...) on Bagnon. Added BankStack to automaticaly stack bags and bank! Added ProKeybinds addon for macro and spell bindings. oUF_lumen still needs some tweakin, testing and also Warlock new Powers among other little things. Updated several addons for 4.06. Added better totem bar support with timers, styling and other little perks like fading if mounted, etc. Added more drop shadows here and there. Now with extra-sugar (don't remember anything else I've changed, I probably did...). First Cataclysm release with several TOC Bumps. Updated several addons including oUF_lumen. lumStats Tooltip now displays Tol Barad Timer. Fixed the bug with lumCupcakes where the Quest Watchframe would only display 2 quests even when watching more. Added latest version (Version 1.82) of oUF_lumen. Fixed several bugs on lumSmallTalk. Added edit box coloring in lumSmallTalk depending on what type of chat you're using (whisper, raid, guild...). Removed the tainting in lumBuffs so you can right click buffs in combat now. Added a shadow for panels created via lumDrops. Minimap has a shadow and bottom panel has a shadow now. The second argument of the function controls this. Added shadows for Player Buffs / Debuffs - lumBuffs. Added last version of oUF_lumen which it adds MainTank Frames and Main Tank Targets. Drop Shadows for Units and some fixes. Added new addon lumNoLove. A buff reminder addon for combat buffs like Shouts. TO DO: Rogue Poisons possibly. Added new addon lumCupCakes. Addon with several UI improvements like Quest Level on the quest log, ability to move the Quest Watch Frame and resize it... and possible more in the future. Added New version of oUF_lumen with a more smooth texture. Old texture is in the folder lumMedia. Added support for oUR_Reputation to oUF_lumen. Added a Tooltip to show current faction standing. Changed the Location display from the bottom panel to the top of the Minimap, it's now part of lumMinimapa addon. lumStats changed to reflect the location text changes. Tooltips changed. Location on the Minimap can be shown only on mouseover. Option to make it colored by zone pvp info. Added lumBuffs. Since it only styles the buffs/debuffs it doesn't need to use secureheaders and therefore buffs are right clickable in combat. Added latest version of lumAutobot with support for guild repairs funds. Alt when visiting a repair merchant ignore the use of guild funds. Guild funds can be toggle ingame by using /autbot guildfunds on/off. Added support for !ClassColors addons for lumDrops and lumStats. Added option to lumBags to toggle bank segmentation on/off. Off by default. Removed Quest Items separation in the bags of lumBags. Blizzard classify as Quest Item some items that are not so it defeats the purpose. Updated lumBags with some item categories divisions. Removed Bagnon as the bags addon. Added lumBags. lumBags is a cargBags2 layout. Light, clean and customizable. Added an option to lumDrops to individually color border by class or not (so you can turn off class coloring on the minimap but still leave it on the bottom bar for example). Added the new version of nivBuffs that solves some minor bugs. Added latest version of oUF_lumen. Fixed a bug with LumSmallTalk preventing clicking on chat links and returning an error. Added a Repair module to lumStats (colored by repair %). Hi no longer have a subscription active. I will return for the next patch in the meanwhile I will take a look. Hi, on any battleground i'am have error LUA: http://prntscr.com/lbvwc3. Is it possible to fix it? Regarding the Raid Frames, It had Raid Frames in the past but I stopped playing for some years and since Blizzard released their own decent Raid Frames mine were lagging behind so when I refactored the whole code I ended up deleting the Raid Frames and started using Blizzards. I might re-do them once I get some free time and will power. Regarding the Warriors Buffs, thanks. This helps and I will add all the relevant ones to the default Filters. do u have something in progress to make that awesome ui realy complete ? @robbisgames: Thanks for answering mate. That is exactly how it is done. Hmm... I'll try to see if it is possible using oUF or WoW API. first of all,i dont know any pet debuffs that u HAVE to TRACK -50% healing income or slow down? quick fix because i guess ull end up seeing ALL debuffs applied by the whole raid/grp or even ppl attacking ur same target,so maybe with a work aorund to sort first player debuffs,then petdebuffs,then otherplayer debuffs but greyed icons? Last edited by robbisgames : 09-19-18 at 12:26 PM. Hello, first of all thank you for creating the layout/Ui. I like it a lot. 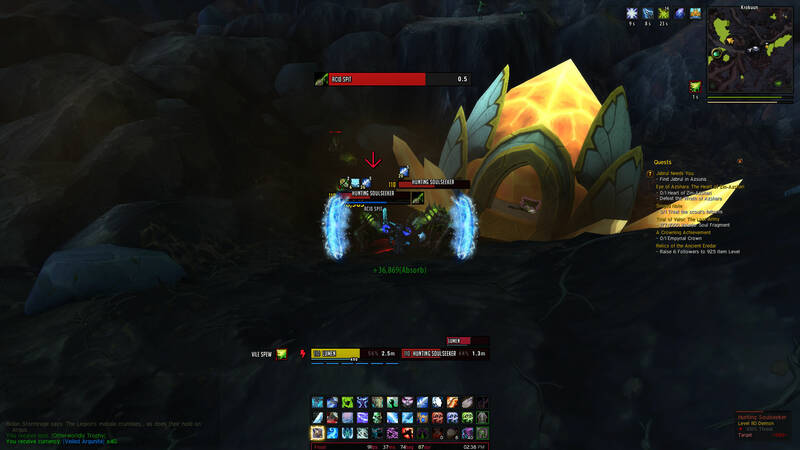 Is it possible to show the debuffs on nameplates of my pet as well, but not by other players? I found "debuffs.onlyShowPlayer = true", but it seems to filter the own pet debuffs as well. Last edited by neverg : 09-17-18 at 05:31 AM. 1. How can i force right bars to be visible always? 2. How can i turn on names and bindings on buttons?
" alpha = 0, " change the "0" to 1 and ull see "makrotext + bindings"
Last edited by robbisgames : 09-16-18 at 03:12 PM. It's possible some addon might interfere ye. I don't use recount so I don't know. Myself I use TinyDPS. Try another chat addon. There are many. This may have had to do with downloading recount.. Think that could cause a issue?? That is odd since I use the same addon and don't get the same error. Writing the addons and mainting the code that 'powers' lumUI takes a lot of my free time. If you would like to help me by supporting the development of this UI, guaranteeing that I can dedicate more time to this project between the pile of stuff I have to do, please consider donating. I'll be a happy panda.